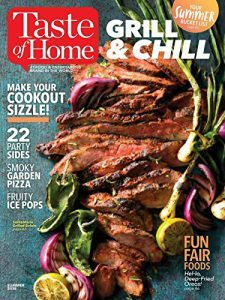 Deal of the Day – Taste of Home Magazine is just $3.35 for 1 Year at Best Deal Magazines, August 16th Only – A Retail Value of $35.94 – with Coupon Code 160819. Taste of Home America s #1 cooking magazine! Enjoy 100+ home-style recipes and tips, each a kitchen-tested family favorite made with everyday ingredients. Plus color photos of every recipe, cost-saving menus, healthy-choice dishes, casual entertaining ideas and more.